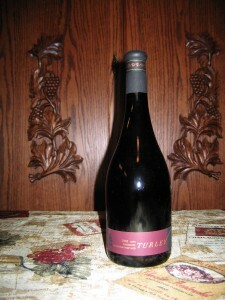 Cutting: A very good wine with dusty plum, black cherry and herbal characteristics. 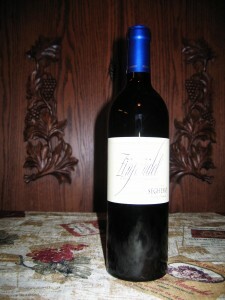 The Seghesio Zinfandel from Sonoma County features dusty plum, black cherry and herbal aromas. Those same characteristics are found on the palate and joined by pepper and licorice flavors. Some tasters observed coffee, oak and vanilla characteristics. 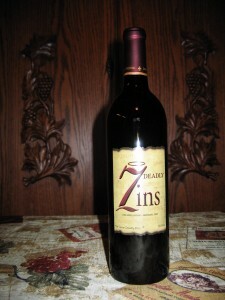 This is a very good medium bodied wine that most Zinfanatics should enjoy. Sonoma County typically represents a benchmark for quality Zinfandel. 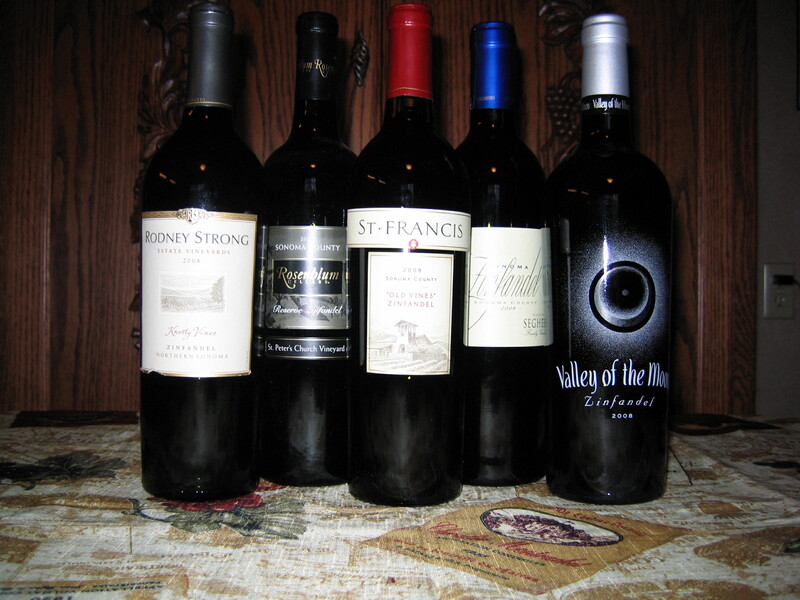 The five wines in our upcoming tasting include a mix of reliable stalwarts and lesser known surprises. Check back to see the results. 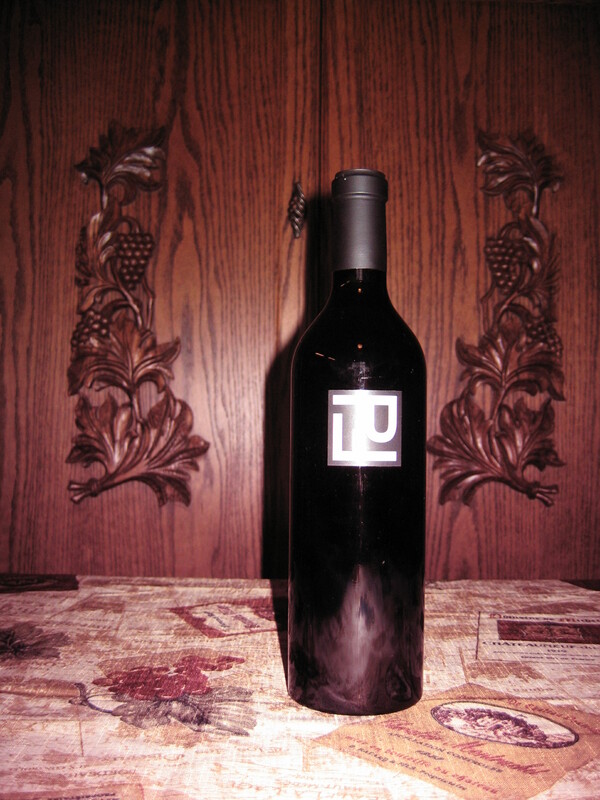 Cutting: Our first place wine in the Lodi tasting features complex raspberry, black cherry and herbal characteristics but a somewhat short finish. 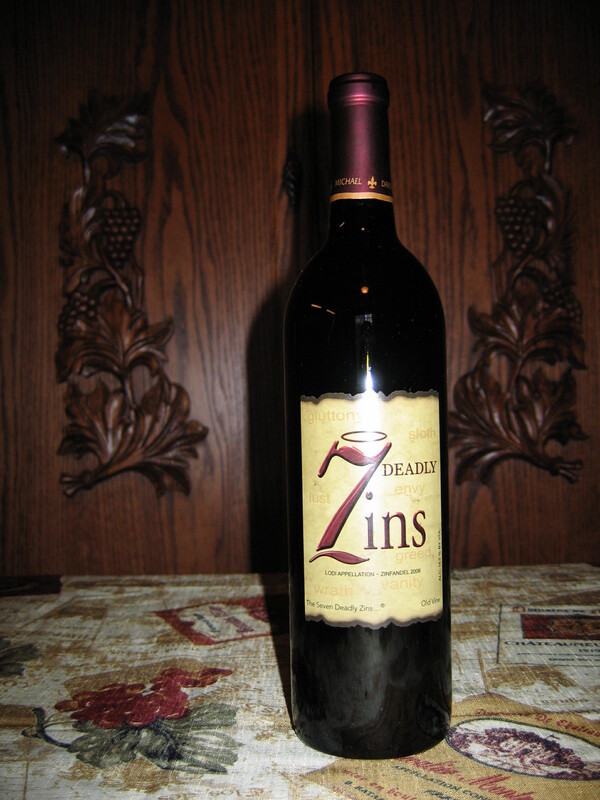 The Michael & David Seven Deadly Zins is our top ranked Zinfandel in our Lodi tasting. It exhibits complex raspberry, black cherry and herbal aromas and flavors. It picks up some vanilla notes on the too short finish. Some tasters observed licorice, blackberry, blueberry or black currant characteristics. 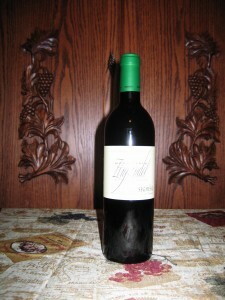 This medium bodied wine represents a very good value that most Zinfanatics should enjoy. 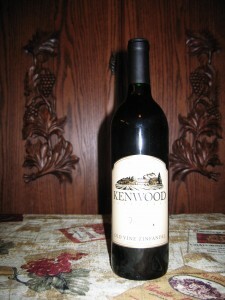 Cutting: Nice cherry, spice and strawberry characteristics are featured in this light to medium bodied wine. 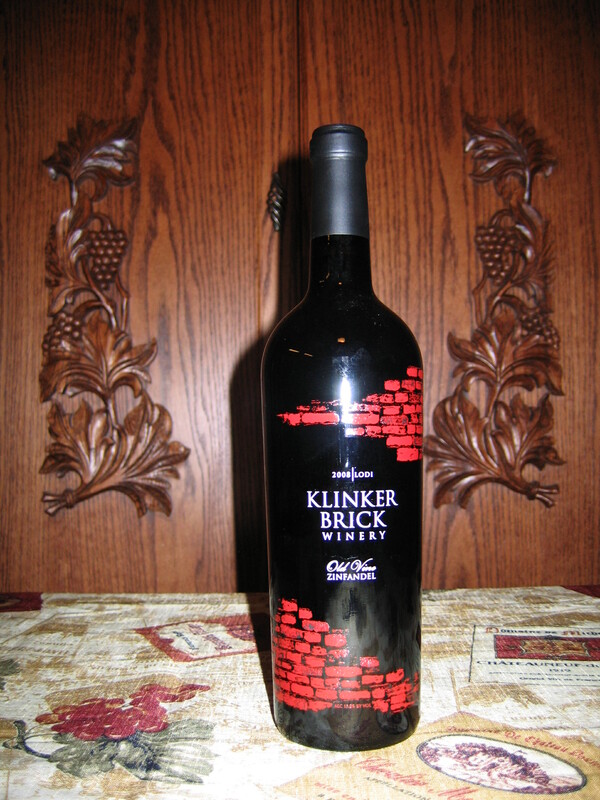 The Klinker Brick Old Vine Zinfandel from Lodi exhibits nice cherry, spice and strawberry aromas and flavors. 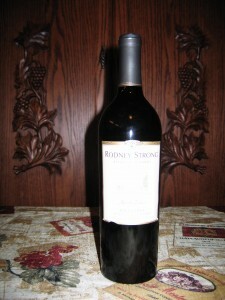 This is a light to medium bodied wine with a short to medium finish. Some tasters noted plum flavors as well. This is a solid wine, but nothing spectacular. Cutting: A simple wine with black cherry, red berry, pepper and tea characteristics. Black cherry, red berry, pepper and tea aromas are featured in the Kenwood Yulupa Old Vine Zinfandel from Lodi. Those characteristics are joined by plum flavors on the palate of this medium bodied wine. This is a fairly simple wine with a medium length finish. Fans of simple Zinfandels may enjoy this. Cutting: A light simple wine with some sweet black cherry characteristics. The Peirano Estate Immortal Zin Zinfandel from Lodi is a light, simple wine with sweet black cherry, strawberry jam, rhubarb and nutty aromas. The sweet black cherry continues on the palate and is joined by pepper, spice, and cola flavors. Some tasters noted chocolate characteristics. This wine has a short to medium finish. 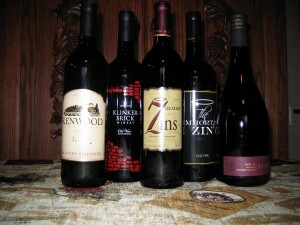 Zinfanatics who prefer lighter, simpler wines with a bit of sweetness may like this. Cutting: Our first place wine is a magnificent effort with complex smoky black cherry, blackberry, vanilla, spice, licorice and lather characteristics. 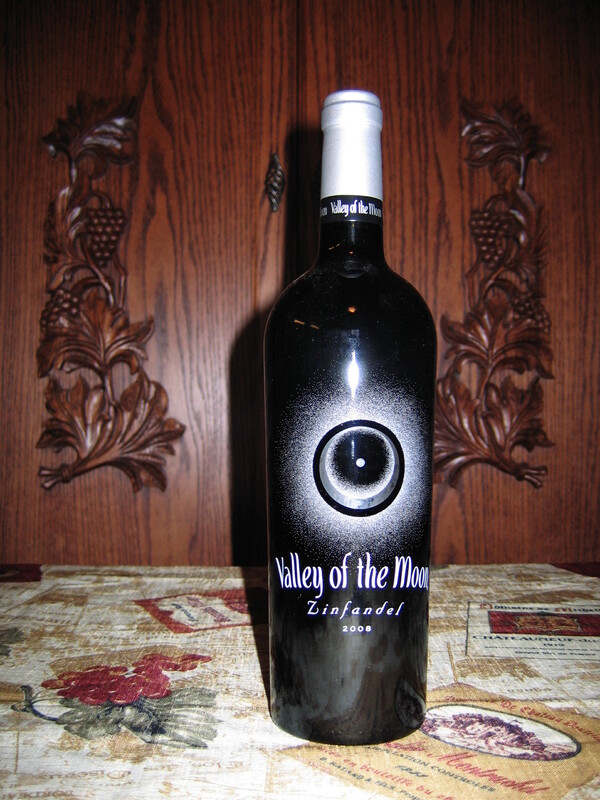 The Turley Mead Ranch Zinfandel from Atlas Peak is a nearly unanimous selection as our top ranked wine in the Napa Valley tasting. 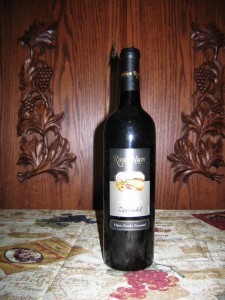 It shows complex smoky black cherry, blackberry, vanilla and spice aromas. 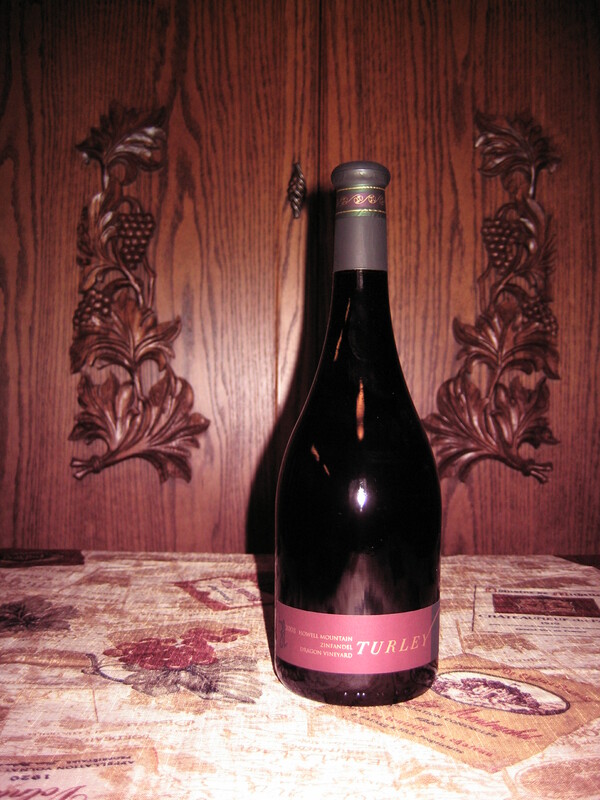 The smoky black fruit characteristics continue on the palate where they are joined by licorice, leather and spice flavors and a finish that goes on forever. 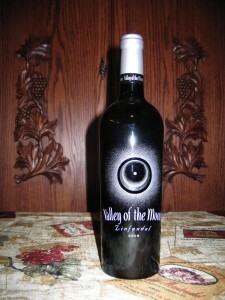 This is a fantastic wine that everyone should enjoy. Cutting: A big complex Zinfandel featuring intense blackberry, black cherry, licorice and coffee characteristics. 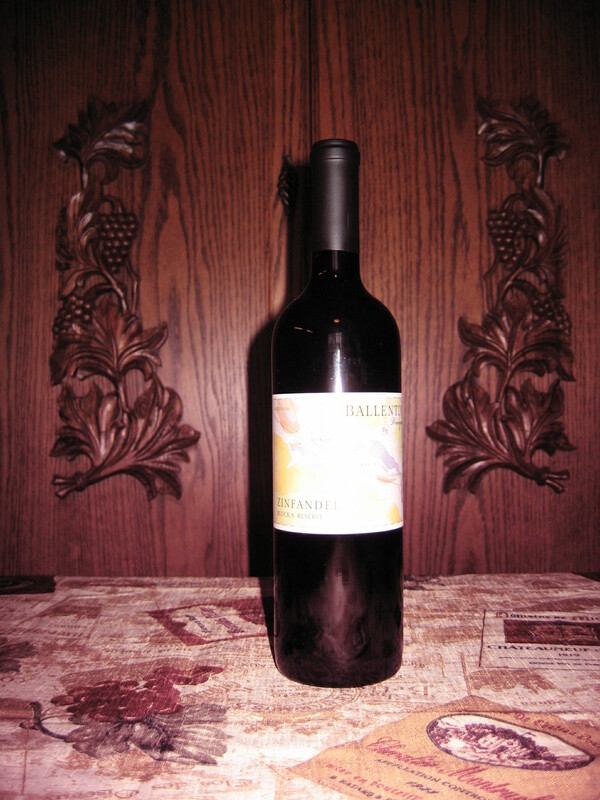 The Ballantine Block 9 Reserve Zinfandel from Napa Valley features intense blackberry, black cherry, licorice and coffee aromas and flavors. 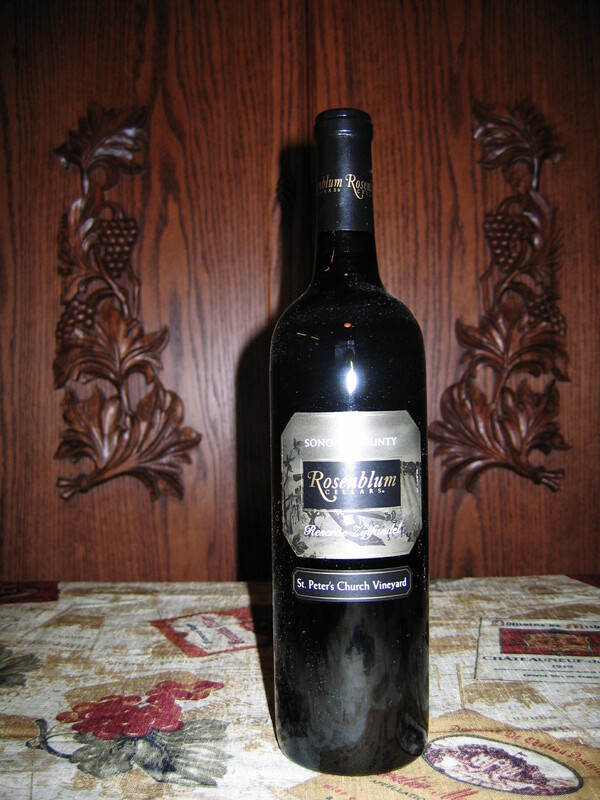 This is a complex wine that adds spice and oak characteristics on the long finish. It won’t appeal to everyone, but Zinfanatics who prefer big wines should love this wine. Cutting: A wine featuring intense chocolate, currant, spice and blackberry characteristics. 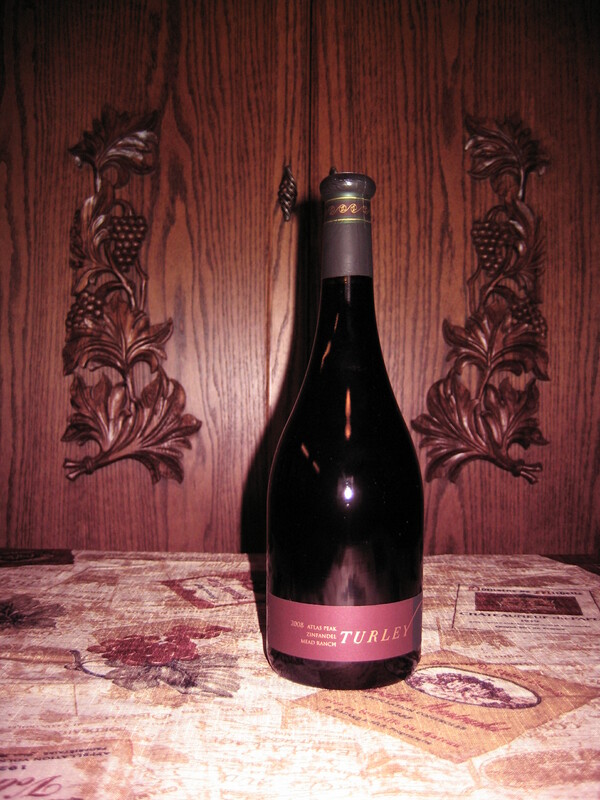 The Turley Dragon Vineyard Zinfandel from Howell Mountain features intense chocolate, currant, spice and blackberry aromas. On the palate these same characteristics are joined by plum and pepper. 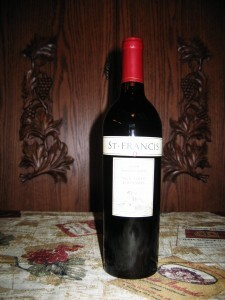 This is a terrific medium t heavy bodied wine with a medium length finish. Cutting: A fantastic complex wine with raspberry, vanilla, cinnamon and cherry characteristics. 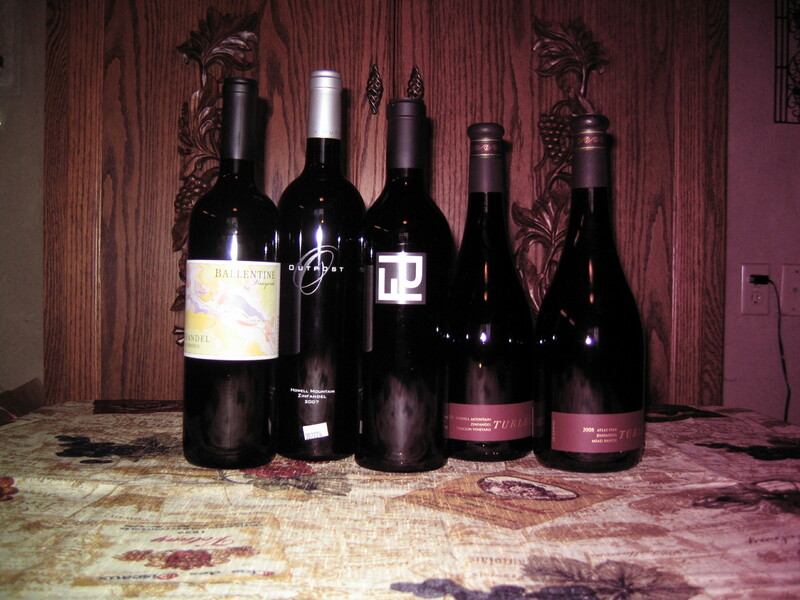 The Peter Franus Brandlin Vineyard Zinfandel from Napa Valley has complex raspberry, vanilla, cinnamon and cherry aromas and flavors. This is a beautifully crafted medium textured wine with a long finish. This wine received the widest range of rankings among tasters ranging from second to last. Still all our tasters enjoyed it. Cutting: Our other first place Alexander Valley wine displays terrific cocoa or chocolate, blackberry, cherry spice and pepper characteristics. 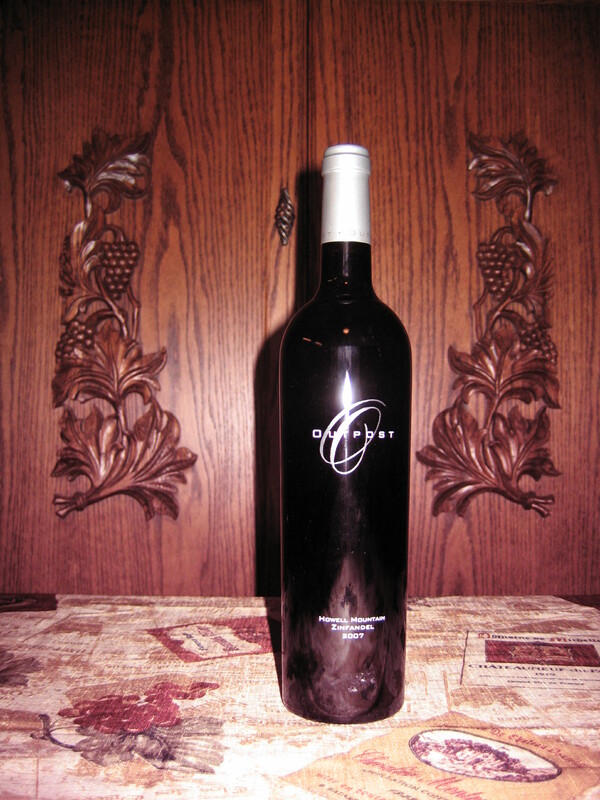 One of our first place wines, the Rosenblum Harris Kratka Vineyard Zinfandel from Alexander Valley features terrific cocoa or chocolate, blackberry and cherry aromas. The same characteristics come through on the palate along with spice and pepper flavors. Some tasters noted plum, prune and sweet caramel characteristics. 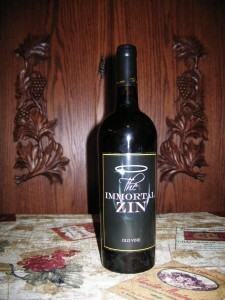 This is a medium bodied wine that should appeal to most Zinfanatics. Cutting: One of our first place wines features complex black cherry, berry, cinnamon and spice characteristics. The Seghesio Home Ranch Zinfandel from Alexander Valley, one of our first place wines, features complex black cherry, berry, cinnamon and spice aromas. 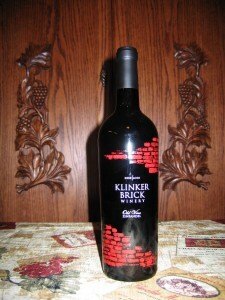 The palate features more of the same and adds distinctive licorice flavors and a fantastic long finish. Some tasters observed mineral and green pepper characteristics. This is a big wine that will appeal to most, but not all Zinfanatics.